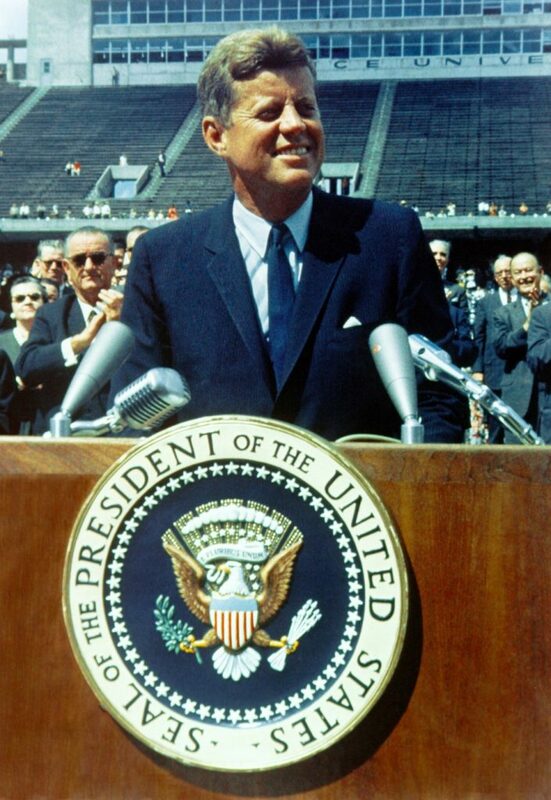 JFK gives a speech. Image courtesy of Unsplash. It’s only fitting to kick off this column with the mother of all conspiracy theories: the assassination of the 35th president of the United States John Fitzgerald Kennedy (JFK). As both an assassination enthusiast and JFK stan, I have my opinions both on the alleged assassin, Lee Harvey Oswald, and the political context of the assassination itself. If you ask me what I think, I’ll probably tell you this: major players within the US government, namely representatives of the CIA, are complicit in the death of JFK. Now, this doesn’t mean that I think the CIA – or any person except Lee Harvey Oswald – planned, orchestrated, and implemented the assassination. Instead, I think the CIA is complicit due to their purposeful negligence of assassination threats in general and especially in the case of Lee Harvey Oswald. Oswald – who was a known Communist and afflicted with what was most likely schizoid or antisocial personality disorder – wanted to kill JFK because of his actions against Cuba and other Communist nations. Oswald, upon learning that JFK’s motorcade in his residence of Dallas, Texas, would conveniently pass by his workplace, the Texas School Book Depository, decided to turn what were just fantasies about assassination into reality. Unable to keep his plan to himself, and feeling a bit too comfortable in his Communist sympathizing circles, Oswald began to boast about his plan and inclinations to assassinate the president. CIA agents who were monitoring Oswald on account of his known Communist leanings and defection to the Soviet Union caught wind of his plans and agents were assigned to investigate his threats. The CIA, generally unimpressed and, to an extent, resentful of JFK, did not ensure the thorough investigation of assassination threats, allowing Oswald’s clear intentions and problematic history to culminate in the undeterred murder of the president. Oswald claimed he is a “patsy.” Jack Ruby, nightclub owner, kills him two days after the assassination, getting no information out of Oswald other than him claiming he didn’t do it. The Warren Commission is launched to thoroughly investigate the assassination, yielding the results that are sponsored by the majority of government as the true narrative. Research into the assassination revealed several inconsistencies in government claims of the sequence of events that led up to JFK’s death. Most information withheld from the Warren Commission is released the President John F. Kennedy Assassination Records Collection Act of 1992 mandates that withheld documents be disseminated in full by Oct. 26, 2018. In the realm of JFK assassination conspiracies, mine is tame. The only major diversion from the findings of the Warren Commission is the claim that the CIA purposely neglected to take assassination threats, specifically Oswald’s, seriously. Still, this is a serious accusation, and I would be remiss not to tack on some evidence that supports it. For one, there is the highly suspicious hesitance on the part of the US government to release any information relating to the investigation to the public. Even over 50 years after the event, the CIA still begged President Donald Trump to delay the release of hundreds of documents that were slated to be released among the others as a result of the JFK Record Collection Act. The CIA’s extreme sensitivity about releasing details in this case demonstrates real concern by the organization that what is released could incriminate them and reveal their neglect to stop the death of the 35th president. And to that I say you’re wrong. For one, every president has had people who hate him enough to kill him – the CIA, Secret Service and every other agency tasked with the job of protecting the president know this. Hundreds of letters containing threats to the president pour into the White House each year detailing people’s intense disgust of the president and their desires to cause him harm. However, only a small minority of these people have the right blend of hatred and instability to take actual action to assassination. Oswald exhibited several key risk factors that should have tipped off the CIA to take more action that it did. Oswald was a former Marine sharpshooter with a criminal history and strong Communist leanings – strong enough to convince him to learn Russian and defect to the Soviet Union and strong enough for him to openly protest against U.S. intervention in Cuba. While that’s not enough for the CIA to have suspected and justifiably apprehended Oswald in advance to the assassination, this fact is Oswald, during a visit to Mexico City just two months prior to the assassination boasted that he would kill Kennedy – and the CIA stationed in Mexico City knew about it. For decades, this fact has been glossed over, likely because the US government led the investigation in which this fact – that the US government itself could have stopped the assassination of its own executive – would’ve emerged. As well, the U.S. government –wanting to protect itself – downplayed the failure of the CIA among other responsible governmental organizations, while they played up the profile of Oswald as an undetectable and unstoppable rogue. Taking this into account, it’s not unreasonable to suggest that Jack Ruby – the man who in turn murdered Oswald just two days after his arrest on the day of the assassination – was a hired agent of the panicking CIA, who believed that by permanently quieting Oswald, their missteps and negligence would be better kept secret. With all this said, it is important to remember that, ultimately, the US government has a position of extreme power in this situation and would do all it could to protect their credibility both for its own legacy and to maintain the trust of its citizenry. So if you find yourself unconvinced by the evidence provided, think of how easily the CIA could’ve concealed incriminating information. PreviousPrevious post: “The Bachelor”: good show or guilty pleasure?